I had arrived excited about being able to share my new venture with prospective clients. Being a beginner, I asked a fellow colleague to help explain the area of investing we were both involved in. Having years of experience, he answered questions with ease. Not that he meant to take "center stage." He’d earned it, and I invited him. So when I started to complain to God once I was back in my car, I hear and felt God’s heartbeat. You see, I met a young couple and shared my love for where I work as a teacher (outside of my new venture.) They shared their mutual love for Jesus and started asking about my students. Next thing I know, a non-believer is listening in as I shared the prophetic picture a ten-year-old gave me just last week. “Ms. Winberry, I see a huge tree shading a small house. A builder is trying to make the house bigger but can’t by himself. I feel the Lord wants you to know that He will help build your new business.” And as God helps me, I go about doing what is natural. 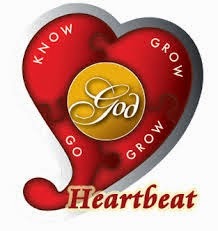 Just like my colleague shared intelligently about the ins and outs of private lending, I shared an aspect of God’s kingdom —with both the saved and unsaved tuned in to God’s heartbeat.